I really love things that are different. Things that de-mystify, take you behind the curtain (so to speak), provide a unique experience without having to actually commit. Like trying a real tattoo but without the time, cost, or permanence. I got to thinking: what about tattoos? Personally, I’ve always wanted one, but I don’t know how I’d feel about actually getting one (remember my “don’t hurt the Dom” rule). Maybe I’m too big a sissypants to get one. Seems the only way to find out *if* you want to get one is to actually *get* one. There’s no way to just… *try* it. So I thought, let’s fix that. I have a long-time buddy, Bob Jones (seriously, not in Witness Protection), who has a tattoo shop and piercing studio. I ran this by him and he was like “dude, that sounds totally cool. I’m in.” That was all I needed. And so we had the first ever Rough Crowd Field Trip. Ladies and Gentlemen, Rebellious Youths Not Yet Grown Up, and The Rest Of You Perverts, May I Present: The Rough Crowd Field Trip (again)! On the evening of Sunday, June 1, 2014, 8:00 pm – 10:00 pm., all who would like to are invited to join us at Insight Studios for an evening of social interaction, free blank tattoos, and more! I always wondered what it felt like getting a tattoo. Could someone just run a tattoo machine with water, no ink, on me for a few minutes to see exactly what it’s like? Who’s going to walk into a shop and ask a busy artist to waste his or her time like that? Apparently, I am. On behalf of all of you. Real tattoo machine, real needles, real tattoo artist. Just no ink in the machine. You like it, you can go on and get a real tattoo. You don’t like it, no harm no foul. Well, maybe some blood. Waddya, wanna live forever? We did these before, and nobody died, and they all faded within about a week. Even if you already have ink, if you don’t know these guys, you should. Bob’s whole vision for Insight Studios was to make a shop that’s not intimidating, not dark and scary to walk into, and that’s what he built. You should come and check it out if you’ve never been, or come hang out if you already know them. You want proof? Check out their Yelp page: 5 stars at 472 reviews. Dude. Goodie bag? Friendly chatting – like a munch, but over tattoos and piercings and such. We’ll have refreshments and fun people and a goodie bag for everyone. Well, not a bag per se, but… well, you’ll like it. Sunday, June 1, 2014, 8:00 pm – 10:00 pm. No RSVP required, but tell everyone you’re coming on the event page! I got to thinking: what about tattoos? Personally, I’ve always wanted one, but I don’t know how I’d feel about actually getting one (remember my “don’t hurt the Dom” rule). Maybe I’m too big a sissypants to get one. Seems the only way to find out if you want to get one is to actually get one. There’s no way to just… try it. 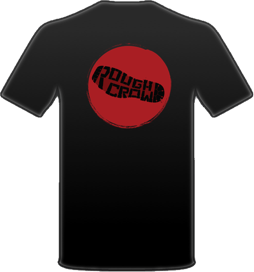 Ladies and Gentlemen, Rebellious Youths Not Yet Grown Up, and The Rest Of You Perverts, May I Present: The Rough Crowd Field Trip! On the evening of Sunday, January 27th, all who would like to are invited to join us at Insight Studios for an evening of social interaction, free blank tattoos, and more! Real tattoo machine, real needles, real tattoo artist. Just no ink in the machine. You like it, you can go on and get a real tattoo. You don’t like it, no harm no foul. Well, maybe some blood. Waddya, wanna live forever? You want proof? Check out their Yelp pages: 5 stars at 371 reviews. Dude. Goodie bag? Friendly chatting – like a munch, but over tattoos and piercings and such. We’ll have soda and special Rough Crowd cupcakes (srsly people…) and a goodie bag for everyone. Well, not a bag per se, but… well, you’ll like it. No RSVP required, but if you’re on FetLife, tell everyone you’re coming on the event page!